Today is a day to celebrate. I urge you all to stop what you’re doing and dance a jig, or clap yo’ hands, because today is Delightfulness‘ birthday! Ok, I can see where you mayn’t be as thrilled as me, but she is my special friend that I know personally, and I can assure you any dancing or clapping that is done for her is well deserved. If you have never paid a visit to her blog, you MUST! She is simply too funny and sweet for words, and she writes amazing poetry. Lucky for me, she lives nearby, so I get the honor of her presence on occassion. Today, Delightful, I will gift you with everything you ever needed, and deserve. A muzzle: To place on the faces of the adorable children you deal with every day that seem to think you are but something to eat. That’ll show them the next time they try to bite you. 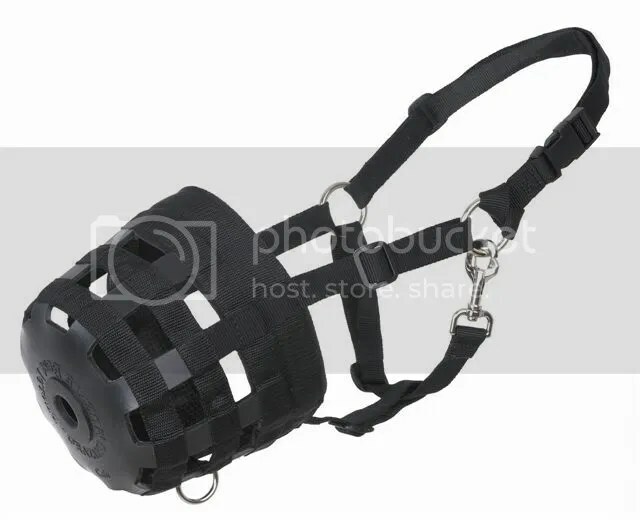 Simply place this muzzle on the next child that bites you and scream, “NO BITING, DEVIL CHILD!” Yeah, I know. It’s prolly a good thing I haven’t children. 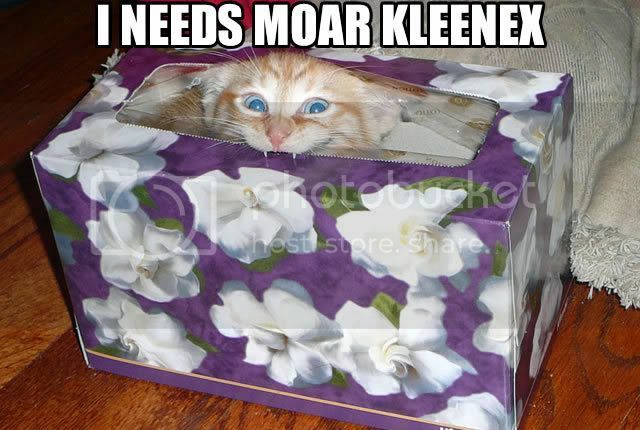 A Box of Kleenex: For the next time you walk in to your apartment and find your beloved watching Alien VS. Predator. Heeheehee!!!!!! A Gluten-free cupcake: Technically, that would be me, since you call me Cupcake, and I contain no allergens for you, but this one was prettier, although I don’t know if there is a difference in the way a gluten-free cupcake looks compared to a regular deadly one. You’ll have to tell me about that. 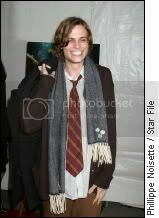 Michael Gray-Gubler: Because you love him and he is almost as pretty as Chris Meloni. Sadly, I was only able to find a picture of him- it seems he and Chris also have that in common. A beautiful pair of shoes: because every birthday girl needs a new pair of shoes! 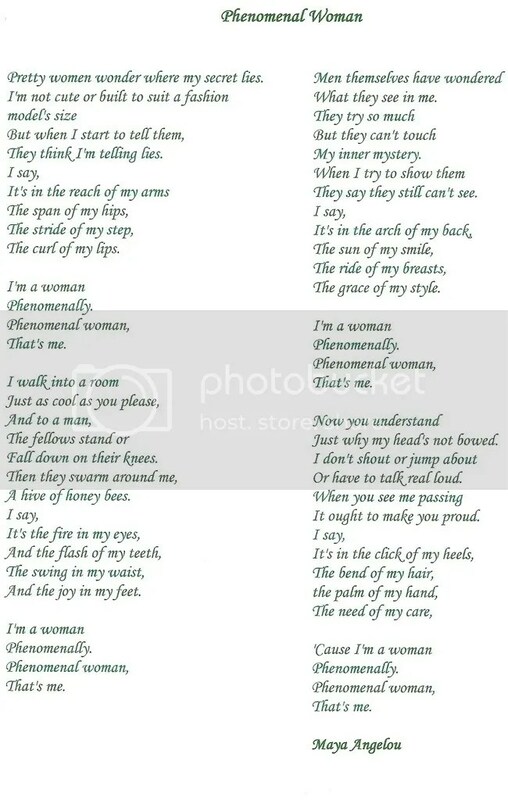 A poem: I bet you didn’t even know you knew Maya Angelou, did you? Well, she knows you, because she wrote an entire poem that describes you perfectly. I have included it just here.